I hate looking for reviews and clicking through to a page just to realize the person didn’t even have their hands on the product. Or, that they’re trying to sell me something because they make money off of it. We’ll never do that to you. If you find it here, it’s a quality write up. This page is an aggregate of the best home security camera system reviews that we could find online. If you know of one we missed, feel free to leave a comment below. Hopefully, it saves you some time looking. We’ve eliminated the “fake reviews” that are just trying to pitch a product that makes them money and only included reviews with a high quality write up and pictures. Don’t forget to also open up the home surveillance camera comparison page in another tab. That way, you can quickly find features and costs that fit your needs and easily compare cameras before going further by reading reviews. And finally, we’ve done the same thing for home security system reviews and home automation system reviews on other pages, so be sure to check those out too if you’re interested. Appreciate the information? Say thanks by sharing it! Just use the links in the table to jump down the the camera you’re interested in. 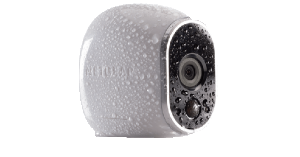 The Netgear Arlo is a compact HD (720p), battery powered, outdoor ready camera with some clever software behind it. The Arlo is smart about when it records footage so that it can last around 6 months on a set of batteries. The flexibility of being completely wireless is a clear plus. But, it misses a step or too because it doesn’t have audio support and those batteries may limit your deployment of it depending on usage. The advertised range of 300′ away from the hub didn’t quite hold up in their experience, with the camera loosing connectivity at around 100′. 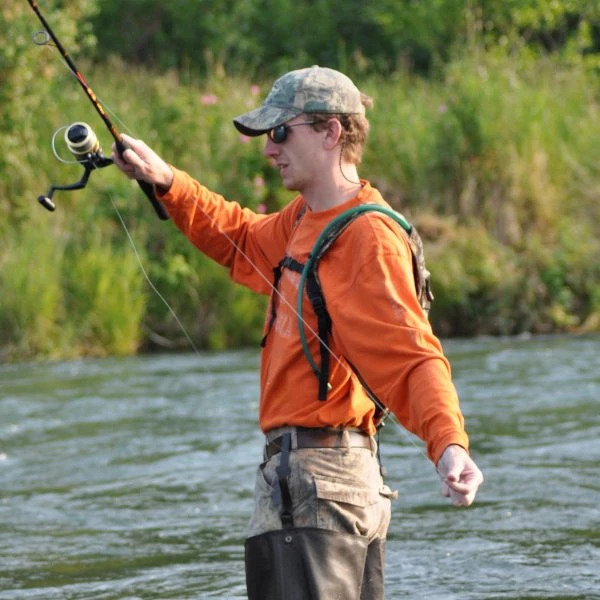 A small, waterproof, outdoor camera automatically stands out. But, it gives up pan and tilt capabilities as well as audio support to run longer on battery power. The design of the camera and it’s easy installation with the magnetized based were both positives. They didn’t like that scheduling features ended after 30 days with the free account (Netgear has since made these features free). And, there’s no way to get the videos locally so you’re fully reliant on Netgear’s cloud service. David liked the form and fit of the camera as well as the installation with the magnetic mount. He even had praises for the Netgear Arlo app. But, it would have been nice to have audio with the camera and have more control over customizing the modes associated with alerting. Although he acknowledges that the camera is expensive compared to some competitors, its unique feature set make it worth the cost if it fits your need. The biggest negatives for the Tom’s review was the long setup (apparently 5 minutes is too long, who knew?) and the lack of audio to listen for bad guys out of camera range. This one has plenty of screenshots of the app and web console as well as camera still for you to take a look at, so give it a browse if you’re interested. Canary (site) is a security camera and then some, as another all-in-one security type of solution for people in small spaces. We covered their production launch before in more detail, but I’ll hit the high points for you again here. And, it supports geofencing by arming when you leave with your phone and disarming when you come home. Along with alerting you to rapid temperature changes, it could be a useful addition to your home. The wide angle sensor of 147 degrees make it easy to cover your living room or a common area, though it isn’t as wide as Piper’s near 180 degree lens. You get all of that for $250. Unfortunately, there are no other integrations like IFTTT to provide additional flexibility. Jonathan is a designer by day, so you can believe him when he says the app is designed well. And, the setup was a breeze for him. He noted the clarity of the camera stood outcompared to a previous camera he had too. On the other side of the coin, his Canary would randomly drop offline when his internet connection was find. And worse, he would have no idea until he tried to access it. There were also problems with the geofencing working correctly to disarm the system when he came home. The storage and organization of the videos was also a sore point, finding particular videos by scrolling through all of those recorded when he was home and the system was disarmed was a real hassle (though you should be able to filter those out with a tap on the screen, now). Ry Crist at CNET took a look at Canary and put together a good write-up. The quality of the video and night vision are both great. And, having the extra on-board sensors is a nice plus. He even went so far as testing it out with a lit cigarette and confirms that yes, smoking is bad for you! Ry also didn’t like that Canary doesn’t support IFTTT or Nest integration and ran into a couple of setup problems. In use, the motion sensor was way too sensitive. Given that, it’s easy to understand why another gripe, not having an automated siren when the system is triggered when it’s armed is actually a good idea. The alarm would add insult to injury waking you up as many as 22 times in ONE NIGHT during his testing. But that happens if you don’t wake up when you get a notification on the phone? That really hurts the usability of the camera. Ry also panned the lack of notifications when it lost power or communication. Stacy Higginbotham went over the Canary for Gigaom and suggested a wait-and-see approach to the camera. For her, the false alarm problems were the deal breaker here as well. Definitely don’t get this yet if you have a pet. She had some additional problems getting notifications on the Android app that I didn’t see reported elsewhere, but that may have been resolved since she was testing right when the app was released. The Canary is a good product as it is and at its price point. But, it would be better if it had separate sensors and integrated with other security and automation systems in the market. Additionally, the delay to actually play back a clip sent to your phone may take 25 seconds, a long time in an emergency. And, there’s no way to download the clips for preservation. Since the D-Link Cloud Camera 5000 (site) has been around for a few years, we mainly have it on our camera comparison page as a lower resolution, budget camera for those without as much to spend on a security camera. The D-Link sports 1280×720 resolution with pan, tilt, night vision and audio capabilities. But, the resolution of the camera isn’t quite up to that advertised after compression to reduce bandwidth. TechHive liked the features that you get on a camera of this cost. But, it isn’t protected very well since a thief could just remove the microSD card from the side of the camera to prevent it from recording. The setup process leaves a bit to be desired as well. 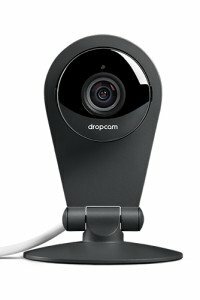 Dropcam has been the company to beat in the consumer space for a while now. With the release of the Dropcam Pro (site), the camera gets an image sensor upgrade that improves light gathering abilities as well as a glass lens to improve the picture even more. And, Dropcam is constantly updating it’s software. The most recent improvement is a digital zoom mode that uses software image processing to provide an enhanced digital zoom. The downside to the Dropcam is the lack of a local recording capability. And, the free service only lets you live stream the camera footage. That’s OK for seeing if your house is on fire, but you would like to have an automatic image capture in the event that a burglar breaks in. The folks at CNET likes the improved images from the camera and the added audio support over the Dropcam HD. And, the setup was a no-brainer. Unfortunately, the simplified setup wasn’t available on Android devices at the time of their review. The improved image sensor pays big dividends for low-light situations too. For the HD, reviewers pointed out that the camera doesn’t have pan or tilt capabilities and that it records all the time. So you may want to check for network data caps for your internet service before picking one up. Getting the HD will save you about $50 at current prices. PC Mag had the same positives of everybody else, the simple setup and clear pictures. But, they didn’t like the lack of local storage and high cloud storage costs. The Dropcam Pro wins the Editor’s Choice award for the best camera in the category, despite those cons. An easy setup gets even easier with Bluetooth Low Energy support from a compatible smart phone. Now, you can set the camera up without extra network cables. The image quality enhancements over the Dropcam HD (now just Dropcam) are not enough to warrant the extra $50 by itself. But you do also get 8x zoom rather than 4x out of the new enhanced zoom feature. In the end though, the extra $50 wasn’t worth it for this reviewer. The Dropcam Pro is a solid camera offering crisp HD images and impressive night vision. It also offers zoom options and 2-way audio. The Pro surpasses the HD with a glass lens and an upgraded camera sensor that captures clearer pictures and picks up motion more effectively. The big downside is that the camera doesn’t offer any kinds of modes to control when it does and doesn’t record or send alerts, only letting you control that with schedules. The FLIR FX (site) is a new entrant into the home surveillance camera market. But, it’s not fair to just call it a home surveillance camera since it can serve as an action camera a la GoPro or as a dash camera. You just have to pick up the extra housings. Which, by the way, include a housing for outdoor camera use. The action camera angle also ensures that the FLIR FX can run on battery power too. But if you like, you can also plug it in to extend its life, unlike the Netgear Arlo. Yet another nice side effect is that video storage can be to the microSD card, easily downloadable to your PC without paying for a cloud service, if you so choose. The FLIR FX offers 1080 resolution with Rapid Recap and alerting zones, essentially top of the line features for similar cameras. You can read more about the RapidRecap feature here. It will make reviewing your footage a much quicker process. Right off the bat, the FLIR FX jazzes things up with its detachable action cam credentials. You can detach it and take it on an ATV or bike ride in a snap. And, the footage review is fast and innovative with the RapidRecap feature. The versatility of the camera and accessories is great, but they did have problems with false alarms like insects at night. When iSmartAlarm released the new iCamera Keep in 2015, it was a much needed upgrade to their existing camera. Unfortunately, it had too many bugs for us to recommend it in our review. But at $150, if iSmartAlarm can sort out the initial problems, the camera will be a worthy competitor to more popular camera options like Dropcam Pro since it’s significantly cheaper. The fact that it integrates with the iSmartAlarm security system and can trigger the rest of the system will undoubtedly sway people who already have their security system, as the camera adds a very useful confirmation of a problem before calling the police and potential evidence to catch the criminals. And, it helps that you can easily adjust the sensitivity of the motion and sound detection capabilities in case you have pets. The 1280×720 resolution is good but not the best. But, the pan and tilt ability is a nice touch that allows the camera to turn almost completely around and cover 40 degrees of elevation. Our review for the iCamera Keep started out well. It looks good and the setup was easy. And, as long as it sat in the same room as our router, viewing the live video was no problem. The issues started when the camera was relocated to another room. Then, it rarely would show video in the app and regularly showed a flashing red light, indicated connectivity problems. That happened even one room away from the router. You can read more details in from our iCamera Keep review. Ry Crist at CNET thought the upgrades to the old iSmartAlarm camera made the iCamera Keep usable. They didn’t have the repeated connectivity problems that we ran into during our review period. Unfortunately, the lack of recording and video storage when a burglary is in progress make the camera much less usable than its peers. At $120 currently, the Belkin Netcam HD+ (site) is considerably cheaper than some of the direct competition. The 1280 x 720 pixel resolution is fair, though not top of the line. 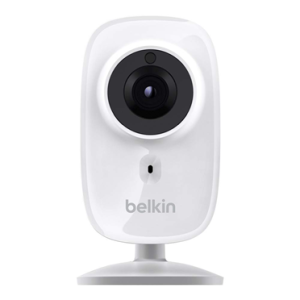 But the other features like motion detection, infrared illumination for night vision, and integration with other Belkin WeMo products make the camera an attractive option. 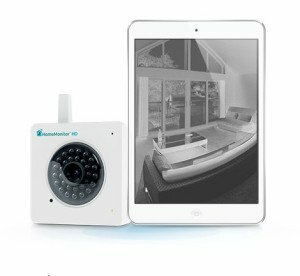 But, if you’re looking for an affordable camera that will let you verify what’s going on inside your house and integration with lights and switches, then this is likely your home affordable entry point. 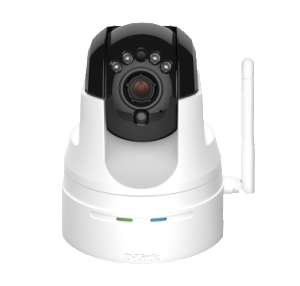 The Belkin Netcam HD+ camera saves on the initial cost and is an affordable option that comes complete with 2-way audio and night vision. Unfortunately, you have to pay a monthly fee to get motion activated push notifications or to store video clips, so the camera’s utility is greatly hindered without the monthly fee. It’s nice that the Belkin allows you to integrate with other WeMo components. And, the setup and use is all straight-forward. On the down side, the camera’s 1280×720 isn’t great, and it even struggles to maintain that resolution at times over WiFi. And, features like modes that you get on other competitors are missing here as well. 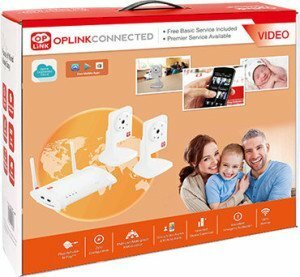 The Oplink Connected Video C2 (site) comes in a kit form with two cameras and a hub. It offers 16 GB of local storage with no need to use a cloud service. But, if you want access to saved clips on your phone, you’ll have to pay up for a $20 service. While the cameras seem cheap, the 640×480 resolution doesn’t hold a candle to modern alternatives sporting 1920×1280 resolution. Even for similarly priced cameras, you can generally get 50% better video quality. It does come with functional night vision, but the cameras do not offer audio support. So, not only can it not alert you of a loud sound in your home, but you won’t be running off intruders with your voice either. The app works on Android, iOS, and Windows devices. And another benefit to the Oplink system is that they also offer other sensors that you could use to build out a complete security system with some of the same equipment. The local storage on the Oplink camera and the optional accessories are nice. Unfortunately, the camera just doesn’t match the technical specifications of its peers, sporting much lower resolution that competitively priced cameras. And, the monthly fees are a bit steep. Piper recently announced a new version of their all-in-one camera and security unit with night-vision capabilities, the Piper NV security camera (creative, huh?). Until now, the Piper unit was a pretty pricey, aesthetically pleasing, and useless as a camera in low light conditions. With the new upgrades, Piper has a much better chance of hanging out with the other cool kids that offer camera security features, like Dropcam, Canary, as well as a lot of the newer and traditional security companies like Iris, iSmartAlarm, Insteon, and Frontpoint. But don’t fret if you already have older devices, they should be 100% compatible with the newer controller. 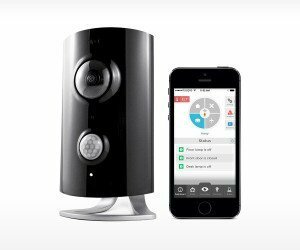 In short, Piper (site) is an all-in-one camera and environment sensor with Z-Wave support. It’s a new system whose primary focus is security, but you can bet the home automation features will be expanded in the future. The Piper is $200 for a single unit and the new Piper NV with night vision is $270. 9/19/14 Rita likes the pretty hardware but says the app design leaves a bit to be desired. It wasn’t easy to automate things, and the Z-Wave device support was pretty limited for now. 1/21/15 Megan found the Piper NV “a delight to use” from start to finish. On the other hand, it’s more expensive than other home automation setups (even when you throw in a separate camera). There’s not much 3rd party support beyond basic Z-Wave devices. It has Android and iOS apps and supports 2 way audio and packs in temperature, humidity, and light sensors for good measure. No night vision, web interface, or local video clip download/storage capabilities knock the Piper off its game, but this reviewer was pretty pleased. The Piper seemed good for renters as a stand alone monitor. But, the app and Piper connectivity problems were a buzz kill. Techhive save the Piper NV camera as a slight upgrade to the hardware, but unfortunately the connectivity problems they saw with the previous camera are still there. And, the night vision quality is seriously hampered by it. The security modes and features of the Piper were nice, as was the setup and home automation add-ins. On the other hand, the app and camera had some integration problems (not connecting) during testing. And, the added features make the Piper pricier than its other camera-only competition. So at $300, you have to really want those features to want to pay up for the Piper NV. All of this will set you back $270 for the Piper NV, a substantial bump over it’s older sibling at $200. So, you’ll have to decide if the extra features are important enough to justify the extra $70. You are away from your home often at night, and the camera would be a valuable tool to help you determine if there is a problem. Your deployment of Piper will cover a large area, and you won’t be able to make out faces with the current resolution of the camera. Just don’t think you’ll install it in a window looking out with good results, we’ve covered that warning already in detail. For me, the motion and light sensors already let you know if something is awry in your home at night, so not having night vision on the camera is not the end of the world. 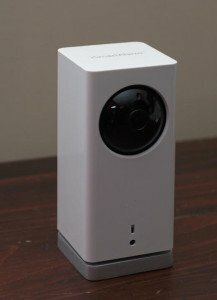 So if you’re mostly concerned about watching your home while you’re at work during the day and the current HD camera is good enough to recognize faces at the distances you’re interested in (Our home camera system resolution calculator can help you there), then I’d be tempted to save the $70. That assumes, of course, that you’ve already decided that you like the combination of the Piper camera and Z-wave home automation solution. If you aren’t sold on the Piper NV security camera (system? ), you could pick up another camera with similar specifications AND buy a separate home automation hub or controller and STILL save a few bucks under the cost of the Piper NV. 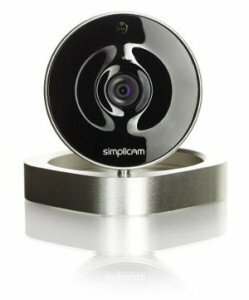 For instance, a Dropcam HD + a Wink hub would set you you back $250 and have similar ability. Certainly, the Dropcam camera is a more mature product that may save you some of the headaches that have been reported for the newcomer, Piper. Check out our recommended Piper security system reviews to save some time, we only recommend quality reviews with hands on experience with the systems and no ulterior motives. As you could imagine, the facial recognition is the standout feature for the camera since Simplicam was one of the first to offer that for the consumer market. But, based on reviews we’ve read, the feature is good for telling dogs and cats from people, but still has trouble identifying people with and without hats or with facial hair changes. Now, each plan only covers one camera, but you do get a 40% discount after the first camera. So, you would add another $3 per month for the 1 day plan for a total of $8 for two cameras. All in all, that’s a better price than most. On paper the motion and sound alerts, two way audio, and face recognition look great. In practice, the facial detection feature isn’t quite ready for prime time. So, the Simplicam falls in the middle of the pack. IF it can tweak the facial recognition feature, it could easily be the best home security camera out there. Setup was easy, and the app was stable throughout testing. DT thinks this is a good camera for the money. But, the facial recognition feature didn’t work when reviewers removed glasses or tried to trick the camera with two different bearded men. Even so, the feature is labeled as a beta, so improvement should be coming. The facial recognition is a cool feature that needs some tweaking, but the customizable detection sensitivity, detection zones, and alerting features combined with low cloud storage fees make it one of the best cameras. The design is nice, the setup is easy, and the video quality is good enough. The facial recognition feature is a great way to avoid false alarms from your cat. But, the lack of integrations with other devices hold the Arcsoft Simplicam camera back. 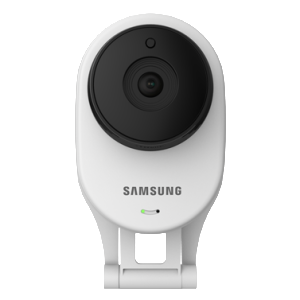 Samsung is making the only camera that regularly gets compared to the Dropcam lineup in the Samsung Smartcam HD Pro (SNH-P6410BN) (site). At $170, it competes directly with the Dropcam Pro on most features and adds local storage for a few dollars less. The Samsung Smartcam Pro sports 1920×1080 resolution and compresses video using the H.264 protocol, industry leaders for the consumer space. On paper, the Smartcam Pro meets or beats every spec of the Dropcam Pro, even though reviewers still give the edge in picture clarity and app quality to the Dropcam Pro. The down sides are that the local storage (with no cloud backup) allows a burglar to steal the camera along with your memory card and remove all of your evidence. But, that’s been mitigated a bit with the ability to upload photos to Google+ as private pictures. Megan thought the Smartcam was more flimsy than the Dropcam. And, she shows a couple of screenshots in the review and says the clarity of the Dropcam Pro isn’t as good as the Smartcam. But since the snapshots aren’t of the same picture, you can’t really judge using the photos provided. That’s especially true given the Smartcam picture had a large window in the frame to saturate the camera while the shot for the Dropcam had much more even lighting. So, you would expect better clarity for the Dropcam. She does point out that it has less lag time and adds local storage but seems to dismiss those in her review. The camera is a bit larger than the Dropcam and heavier too, so it isn’t as discrete as it could be as an anti-theft device. Unfortunately, the 2 way audio suffers from low volume and a microphone on the back of the camera rather than the front, making it harder than you would expect to communicate with the feature. The Samsung Smartcam does lack scheduling and modes that other cameras in the space have, making it less usable as a security camera. All of the features that you need like great picture quality, easy setup, solid night vision, and dual-band wireless support are here. The down sides are that the camera is a bit large and there are no cloud storage options to make sure your footage can’t be stolen along with the camera. You can, however, add your own speaker and microphone. The local storage will save you a lot on monthly fees, but it may make you nervous about someone stealing the footage along with the camera. And, the long cable that ties the camera to the included wireless hub could be a hassle to install, but you get better video quality and a smaller camera mounted on the outside of your house in return. The bottom line is that it’s a 1080p, outdoor camera that is small enough to be subtle yet still get the job done. Michael over at TechHive saw enough problems during testing to overshadow the positive features. He had issues with poor connectivity to the camera that were only somewhat better after attaching an Ethernet cable to the unit. The result was a poor video quality even when he was on the same WiFi network. But, he did mention that a firmware update seemed to mitigate the problems he was seeing in the middle of his testing period. Overall, he didn’t see enough innovative features to choose the SmartCam HD Pro over the competition. Like the other reviewiers, David over at Tom’s Guide liked the sharp image of the 1080p Smartcam HD Pro. But, he didn’t care for the app. And, he notes that a cloud option to back up and store files and programmable modes to change the behavior of the camera when you are away vs. home would have been nice. The feature to upload private pictures to Google+ and zones for motion alerts are helpful too. Thinking about a security camera but worried about getting alerts all day from the cat or your roommates? Netatmo is trying to fix that with facial recognition to only alert you when a stranger is in your home. We’ll go over the features, price, and competition since it’s available for sale as of this week. 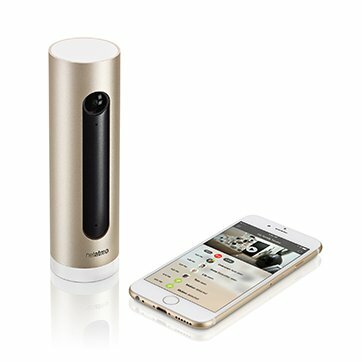 What does the Netatmo Welcome do? The Netatmo Welcome is brand new, so you’re excused if you don’t know what it’s capable of yet. 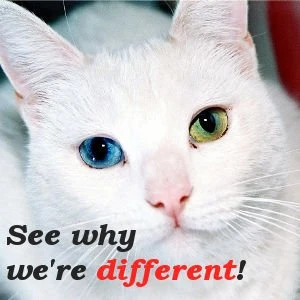 That’s why we’re here for you. The big standout feature for the Welcome is facial recognition. The idea is that you or your family may have unpredictable schedules that preclude you from setting consistent armed and disarmed times for your cameras. Instead, the camera only sends you clips when a stranger is in the home, or it can also tell you who arrived home and when. That could come in handy if you’re at work when your kids get off of the bus. At any time, you can check in to see who’s at home. And, you can choose to get alerts for your family and for strangers. When someone is recognized, a video clip will be stored locally on the microSD card in the camera itself. And, a snapshot of the event is uploaded to the cloud for safe keeping. That way, a burglar stealing the camera won’t be able to remove all evidence of the crime. Netatmo also plans to add Welcome Tags with act as motion/vibration sensors and entry sensors that will integrate with the camera. That will essentially make the camera the hub of a more complete security system like Piper. But, those haven’t been released into the wild yet. And unfortunately, the Tags appear to use a proprietary wireless protocol, so you’ll be stuck buying Netatmo accessories unlike Piper, which supports any Z-Wave sensors. The camera will set you back $200 at Amazon or at Netatmo. The $200 price tag puts them right in line with other 1920×1080 cameras like Dropcam HD, FLIR FX, and Piper and cheaper than Canary. 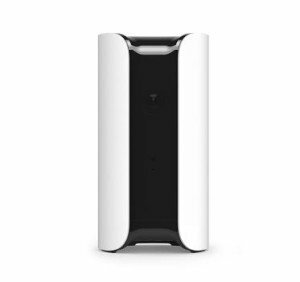 Where the Netatmo Welcome stands out is that it offers facial recognition as a free, basic feature. That’s in contrast to Simplicam that make you buy a premium cloud storage package to get that functionality. So, if that feature works as advertised, then it would be a clear standout for a camera without any monthly fees. The Netatmo Welcome (site) is a new entrant to the market and aims to make the camera smarter by adding a robust facial recognition feature to the camera. When you set it up, you train the camera to identify any people in your family or that regularly use the camera. Then, you can choose to only get alerts when the Welcome sees people it doesn’t recognize in your home. In that sense, the goal is similar to the Simplicam. But for now, the facial recognition feature seems to be a work in progress still. As far as the camera itself, it’s discrete, offers 1920×1080 resolution, and a 130 degree field of view. It also uses IR LEDs to see at night, so you’re covered any time of the day. And, the local SD card storage keeps your internet usage low and make sure you don’t have to pay for a monthly subscription. It’s nice that the Netatmo Welcome doesn’t require on-going costs like the Nest Cam and many others. And, the facial recognition was right about 70% of the time, which isn’t terrible, and certainly makes it smarter than most cameras. But if you can less about privacy and telling you who’s home, then you can find cheaper options. The Netatmo Welcome sports high resolution and smart software according to the marketing material. At $200 it’s an affordable camera with an appealing feature set. And, we love that it stores video locally avoiding monthly fees but also uploads snapshots of events to external servers for safe keeping. That’s truly the best of both worlds. Just don’t think that you can get away with installing it in a window to look outside, we’ve already thrown cold water on that use case. We’ll go ahead and add the Welcome to our home surveillance camera comparison page and look to review one in the future. Be sure to jump on our email list or like us on Facebook to get updates. 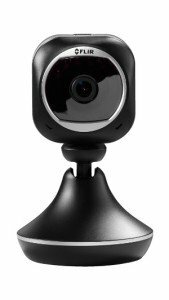 The Y-Cam HomeMonitor HD (site) is another 720p wireless camera that records intermittently based on motion and sound triggers. It has sophisticated alerting options so that you can define regions of interest to ignore pets running to the door and only capture burglars coming through it. The quality of the picture after it’s been compressed isn’t great. Your subject would have to be pretty close to make out enough features for identification. But, it does give you eyes on your home while you’re away. The camera does allow you to record on schedules just in case you don’t want it filming you walking around the house, but it doesn’t implement modes such as home and away like some of the competition. You can jump over to our home surveillance camera comparison page to see how they stack up against the competition. The HomeMonitor offers extra value by offering 7 days of recording for free. And, the picture quality in day and night is good too. On the down side, the audio support is listen-only and the resolution isn’t great for a modern camera. Evan at Trusted Reviews had mostly good things to say about the Y-Cam HomeMonitor HD. The setup, apps, website, and other camera features all worked well. The only complaints were the quality of the video after it had been compressed and the difficulty of tightening the camera base once you had it pointed in the right direction when installing it. If you’re just looking for additional situational awareness, this might be a good pick for you. 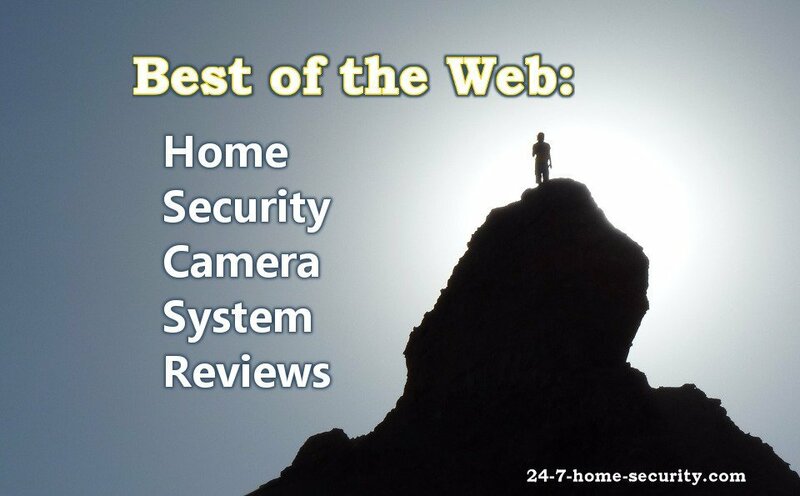 I hope this list of the best home security camera system reviews helped you out. I know it took forever to pull together, so I’m sure it saved you some time too. If you have other suggestions or questions, feel free to ask us in the comments below. Very valuable stuff you got here, these one camera systems are really easy and simple to setup. They are great for monitoring the baby or keeping an eye on your family members but they fall short in terms of range and area. A general rule of thumb is that a 4 Channel, 4 Camera systems is efficient enough to monitor the whole home. Agree, one inevitably leaves some holes in your security. Thanks for stopping by!